Tricopigmentation is aimed at treating only the scalp tissue. Specific equipments, a modified machine, specific needles and pigments are essential to maximize stabilization. 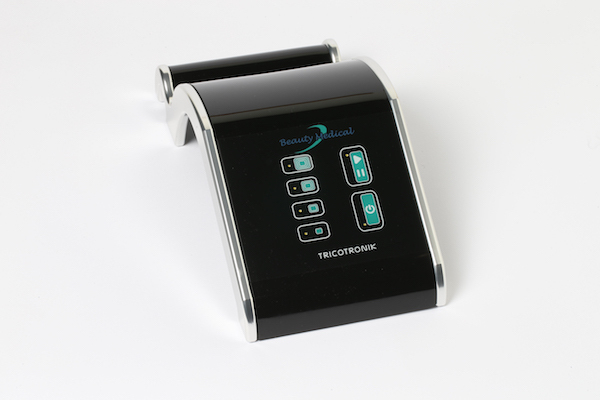 The Tricotronik is one of the tools that was specifically designed for Tricopigmentation in order to ensure maximum results on the scalp tissue. For more than ten years Beauty Medical has studied how the pigment behaves after being inoculated in the superficial layer of the dermis and has developed a system able to ensure great results with the support of German engineers. A true expert does not advertise a single best result but he shows good results with regularity. Only an practitioner who has performed Tricopigmentation for many years can offer this kind of guarantee. It is the collection of tools and equipments tested for Tricopigmentation recognised by the world’s most important surgical clinics, which have chosen our system as a complementary service to surgery in order to find a solution to baldness. More than 30 of the most prestigious Clinics rely on Beauty Medical as training entity and as product supplier. 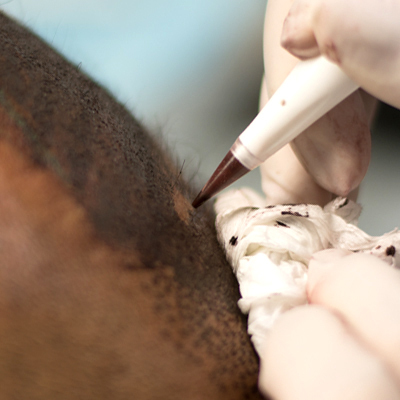 The Tricoinjector Needle for scalp pigmentation was developed thanks to the help of German engineers and it has been designed to work exclusively on the scap skin which totally differs from the skin you can find on rest of the body. The thickness of our body skin varies from 0.2 mm (the eyelid) to 2mm (the scalp); the quality of the skin changes according to the area of our body we are examining. In particular, the scalp tissue is composed of a thick and spongy tissue, rich in follicles, blood and adipocytes. That is the reason why Tricopigmentation needles and equipments are designed to comply with the peculiar structure of the scalp tissue, which otherwise may cause a widening of the pigment. It has a diameter of 0.2 mm and it is characterized by porous walls in order to inoculate just the right amount of pigment in each dot.